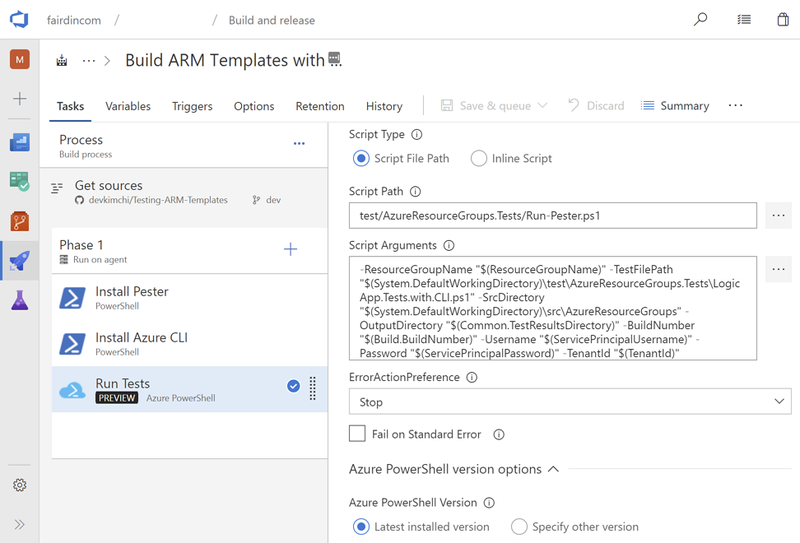 In my previous post, Testing ARM Templates with Pester #1 – PowerShell, I showed how to test behaviours ARM template deployment without actual deployment. At the end of the post, I also briefly mentioned how we can integrate this testing into our CI/CD pipeline. 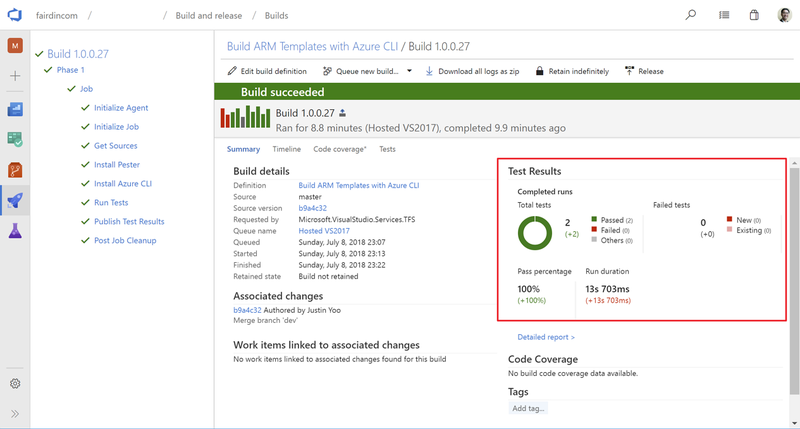 However, I was actually asked many times how I did it on Visual Studio Team Service (VSTS). 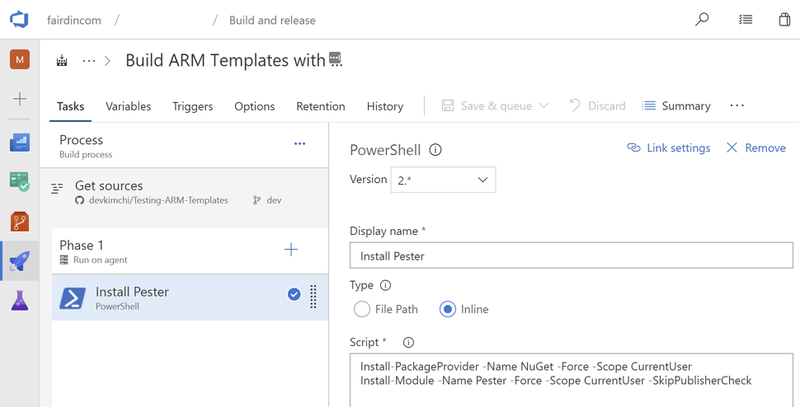 To be honest, it’s not that intuitive for this, especially as we need to run test before the resource deployment. 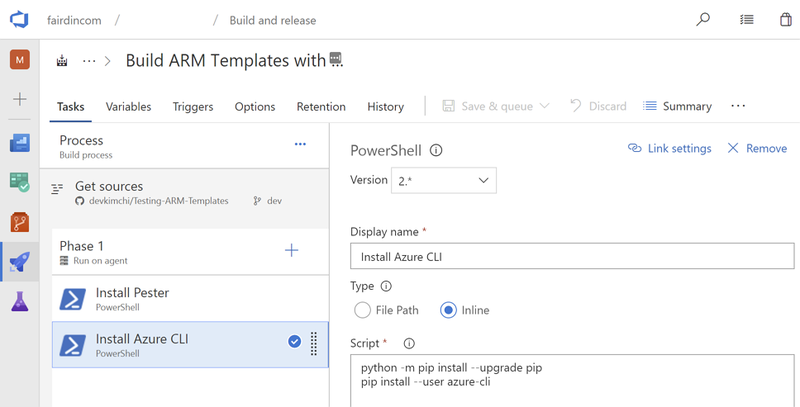 This post, Test Azure deployments in your VSTS Release Pipeline, talks about after resource deployment in the release pipeline, but not in the build pipeline. 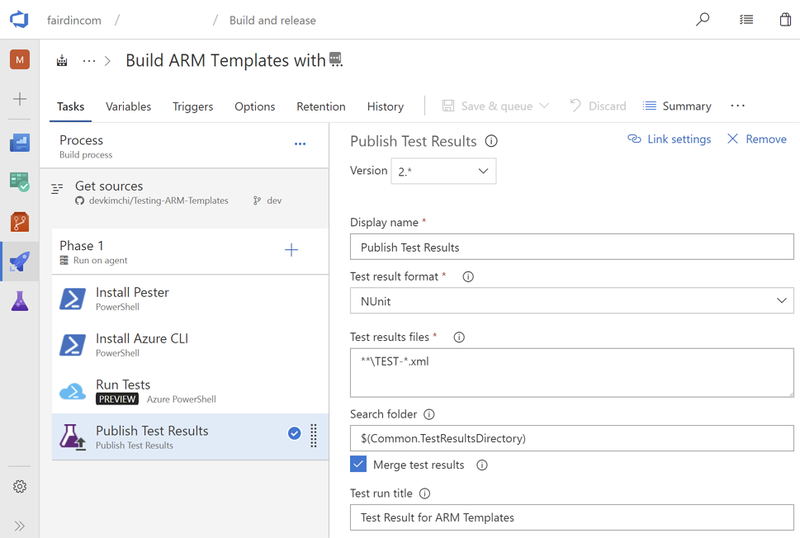 In this post, I’m going to show how to test ARM templates in the build pipeline.